Tim Vines, a Birmingham-based executive with Blue Cross Blue Shield of Alabama, has been elected as chair of Samford University’s board of trustees. Vines, who is chief administrative officer for Blue Cross Blue Shield, has served as a Samford trustee since 2011. He has been serving on the board’s executive committee, and as chair of the Student Affairs and Enrollment Management Committee. 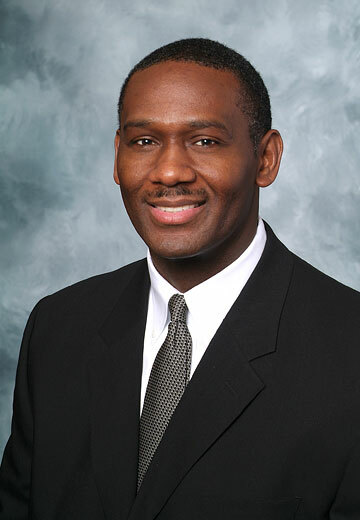 Vines was elected as board chair Dec. 1. He succeeds William J. Stevens of Birmingham, who had served the maximum four-year term as chair. Samford President Andrew Westmoreland said Vines’ election comes at a pivotal time for Samford, with campus expansion and a major redevelopment of the campus master plan underway, new academic programs being added annually and plans being made for the next fundraising campaign to coincide with the university’s 175th anniversary. A graduate of Auburn University, Vines has been with Blue Cross Blue Shield for 21 years. He has served in several senior leadership roles and currently is responsible for all aspects of enterprise resources, information technology, legal services and finance. Vines and his wife, Toni, have three children. They are active members at Birmingham’s Shades Mountain Baptist Church, where he is a member of the church’s finance committee and choir, and previously served as a deacon. He also serves on the board of directors for the Alabama region of the American Red Cross and the Better Business Bureau serving south and central Alabama. Other new board officers include educator and community volunteer Beth Thorne Stukes of Jasper, Alabama, vice chair and chair of the executive committee; Birmingham banking executive Victor Nichol, secretary; and Birmingham businessman Warren Bailey, assistant secretary.